"Minimize administration from becoming shelfware"
It’s all too common to see IT management software at the top of the heap for shelfware. We've been able to identify some of the leading causes that prompt companies to abandon these (often signi­ficant) software investments. 84% of companies are paying for SHELFWARE!! 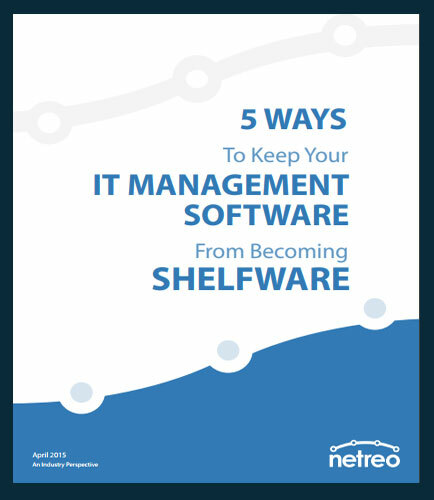 Don't buy management software:How to ensure that IT management software purchases don’t become shelfware. What is Self Service BI ? The process that enables businesses to access and work with corporate data without any prior knowledge on business intelligence is known as Self-Service BI. Workers can get a seamless access to BI information and data without any interruption. Non-technical workers can also get access and leverage the BI reports and information with Self-service BI.